The holidays are officially in full swing. 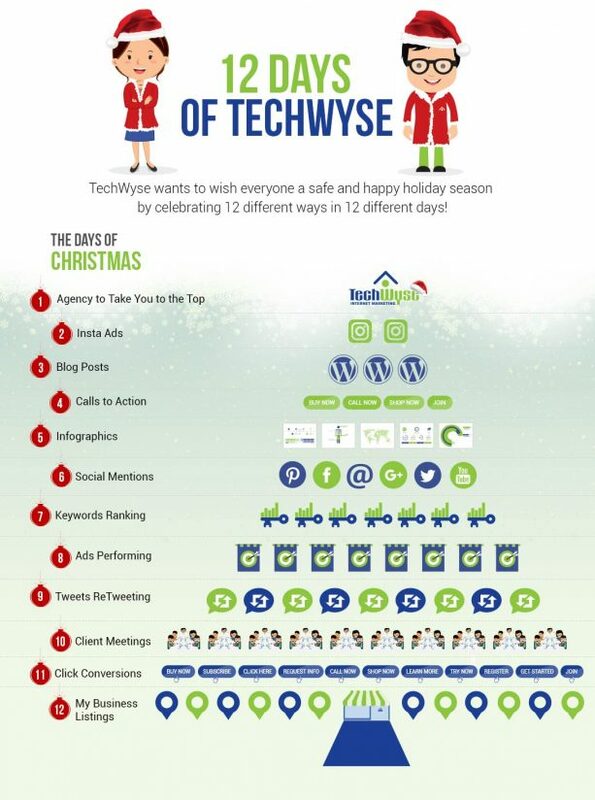 Our office tree is trimmed, with our Secret Santa gifts tucked safely beneath. 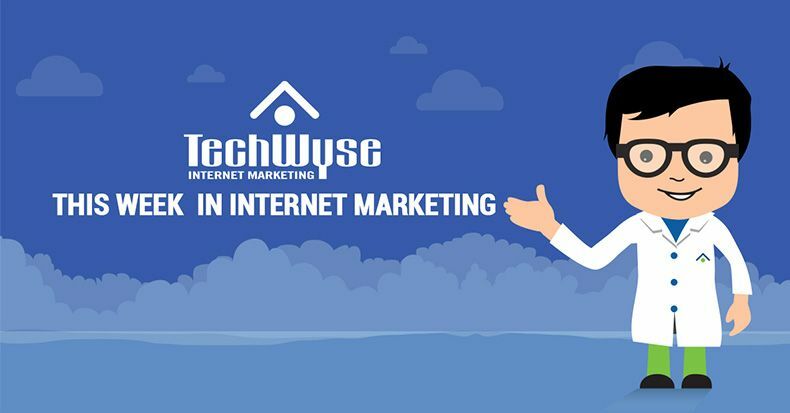 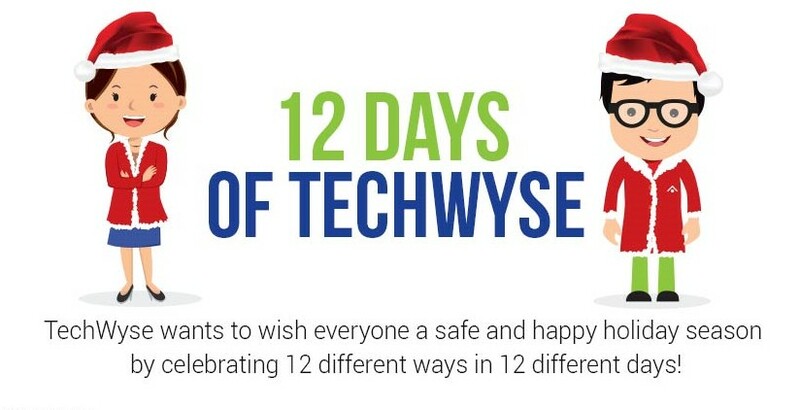 We’re sending holiday cheer to all our clients and friends, and on that note, we’ve compiled an infographic of the 12 Days of TechWyse, reminding all our readers of the important services we provide all year round.